Travel expenses – Why should a certified tax consultancy company check them? Why is a certified tax advisor required for monitoring travel expenses? 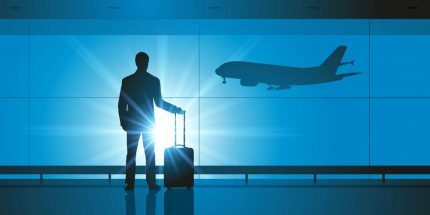 Checking of the travel expense reports of your employees can be done in the best possible way either by you or by the supervisors appointed by you. Upon your request, we can reduce your work and can do arithmetic controls of the submitted travel expense reports and efficiently work on the gateway between payment processing, payroll accounting and financial bookkeeping for you. This prevents double entry accounting. However, it is most important to check the submitted travel expenses reports for amounts which are subject to wage taxation or social security. A non-expert cannot easily detect this at the first glance. Non-observance of the rules will usually lead to problems in the next tax field audit, special wage tax audit or in an audit performed by the “DRV” (Deutschen Rentenversicherung), the statutory German Pension Insurance. Managing directors have to bear in mind that they might be personally liable for unpaid wage taxes or social security contribution in specific cases (e.g. neglected insolvency declaration). The employer reimburses only the tax-free per diem allowance of 12 € and the employee must pay the difference for the actual expenses himself; i.e. the difference will not be paid out in the payroll accounting. The employer reimburses a higher or the complete amount. 12 € is exempt from wage tax. A flat tax rate of 25% is deductible for another 12 € . The exceeding amount must be fully subjected to the individual wage tax rate of the employee. If applicable, social security contributions must be added. a) The employer reimburses only the tax-free per diem allowance of 12 € and the employee must pay the difference for the actual expenses himself; i.e. the difference will not be paid out in the payroll accounting. b) The employer reimburses a higher or the complete amount. 12 € is exempt from wage tax. A flat tax rate of 25% is deductible for another 12 € . The exceeding amount must be fully subjected to the individual wage tax rate of the employee. If applicable, social security contributions must be added. c) The employer who pays the full amount unknowingly commits tax evasion and evasion of the social insurance premiums. There is also a constant change of regulations. Have you become curious? Click here to find out how we can help you. https://www.benefitax.de/wp-content/uploads/2016/04/logo-benefitax-steuerberatungsgesellschaft-wirtschaftspruefungsgesellschaft-e1492791093664.png 0 0 benefitax_admin https://www.benefitax.de/wp-content/uploads/2016/04/logo-benefitax-steuerberatungsgesellschaft-wirtschaftspruefungsgesellschaft-e1492791093664.png benefitax_admin2019-01-24 14:41:442019-04-02 10:40:31Travel expenses – Why should a certified tax consultancy company check them?